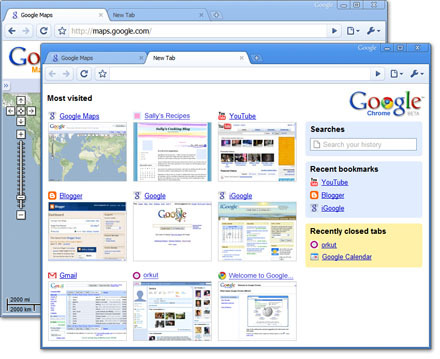 Google have gone and released a browser of their own, Chrome. Windows only at the moment, so I have not yet installed it. Alas I have heard that Moodle does not work with Chrome, so that’s one thing I will be checking out. This entry was posted on Wednesday, September 3rd, 2008 at 9:23 pm and is filed under browser, chrome, google. You can follow any responses to this entry through the RSS 2.0 feed. You can leave a response, or trackback from your own site.